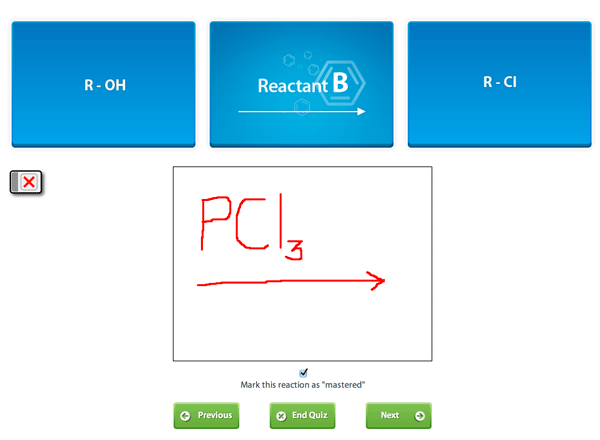 What is the best site for learning organic chemistry? This is a very common question that comes up. These days, studying organic chemistry is transitioning from textbooks and paper flashcards to web-based materials. While going to class and reading your textbook is important, the use of additional online programs is becoming increasingly more popular. Paring a web-based preparatory program with your classroom instruction can really enhance your learning and understanding of the material and consequently yield a higher grade in the course and on important pre-professional standardized exams. User-friendly: Consider a program with high-end graphics and images, a polished interface with easy to use functions. This will help remove the time that is often wasted trying to learn how to use a program and allows the student to jump right in to studying. Comprehensiveness and completeness: You will want a program that has all the information you need and none of the stuff you don’t need to know. 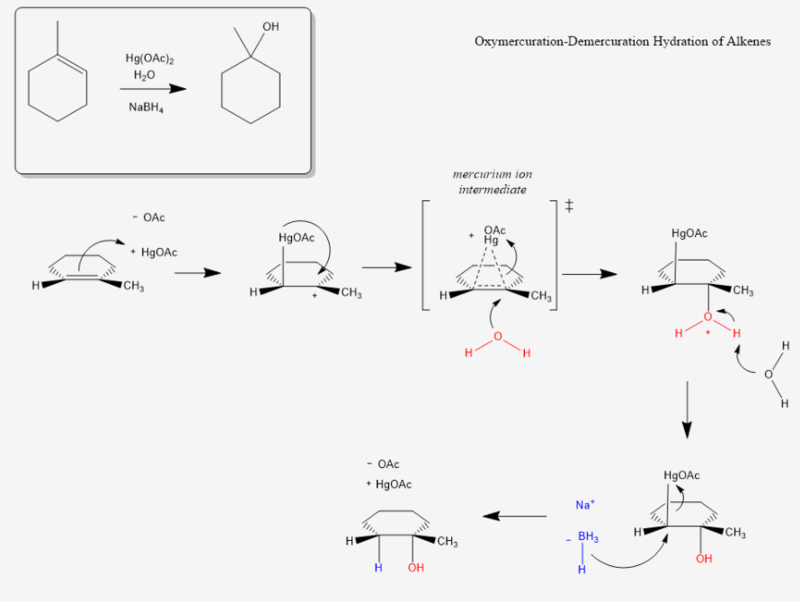 For example, when studying reactions, look for programs that include, a clear reaction name, reaction category, simplified reaction, important hints and notes and a well written, detailed, step-wise reaction mechanism. Use of helpful hints and tips: Look for a program that will allow you to study the least information possible, in the shortest amount of time while still earning high grades. Most people taking organic chemistry are taking the course with a passion to enter a field, which tags organic chemistry as a requisite course, and are not planning on organic chemistry careers. Therefore be sure to use a study program that is written that way. In essence choose a program that offers “high-yield information.” This means that the site provides all of the necessary facts and notes on each reaction while revealing all of the frequently tested key points that are favorites among university classroom exams and standardized exams alike. Practice makes perfect! Look for a program that offers a high-customizable quiz function where you can create your own quizzes to test your knowledge. Many programs offer cookie-cutter pre made quizzes and flashcards that don’t apply to what you are learning! Choose a program that lends you the ability to have a say in practicing what you are learning. 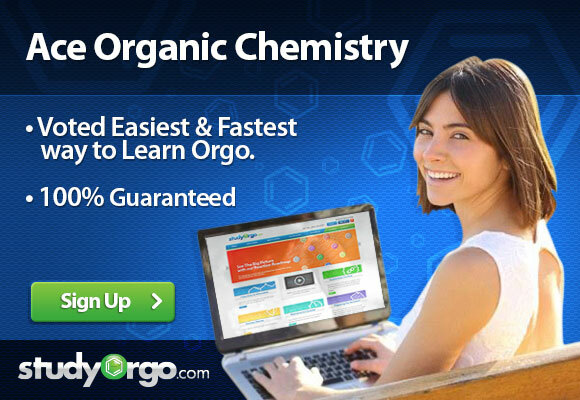 StudyOrgo.com is the ideal online Organic Chemsitry learning program and can take you by the hand to teach you Organic Chemistry in the shortest time possible while yielding excellent results. We are so confident in our program that we offer a guarantee like no other. We guarantee you will pass! While many students are happy with just passing this course, most of the students that we have feedback from, have excelled to be in the top of their class. So go ahead and Sign-Up today!